Ruby is an aluminum oxide, a variety of corundum; it occurs in medium to dark tones of red and violet-red to brownish-red. Ruby is the most popular and highest priced colored stone of all time and its being used in King's crowns through out the history. The Burmese believed that "blazing red" stones could be found in a "bottomless" valley. Natives threw pieces of meat into the valley, hoping that some stones could then be recovered by killing the vultures. In the Royal Collection of England, you can view a gold ring set with a pale but nearly flawless ruby into which a portrait of Louis XII of France is carved. The most important factor in the value of a ruby is color. The top qualities are as red as you can imagine: a saturated pure spectral hue without any overtones of brown or blue. The word red is derived from the Latin word for ruby, rubier, which is derived from similar words in Persian, Hebrew, and Sanskrit. The intensity of color of a fine ruby is like a glowing coal, probably the most intensely colored substance our ancestors ever saw. It is no wonder they ascribed magical powers to these fires that burned perpetually and never extinguished themselves. 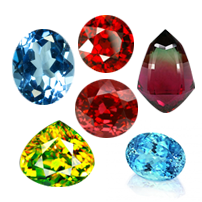 Besides color, other factors that influence the value of a ruby are clarity, cut, and size. Rubies that are perfectly transparent, with no tiny flaws, are more valuable than those with inclusions, which are visible to the eye. Cut can make a big difference in how attractive and lively a ruby appears to the eye. A well-cut stone should reflect back light evenly across the surface without a dark or washed-out area in the center that can result from a stone that is too deep or shallow. The shape should also be symmetrical and there should not be any nicks or scratches in the polish. Rubies and other gemstones are sold per carat, a unit of weight equal to one-fifth of a gram. Larger rubies, because they are more rare, will cost more per carat than smaller stones of the same quality. The Ruby sometimes displays a three-ray, six-point star. These star rubies are cut in a smooth domed cabochon cut to display the effect. The star is most visible when illuminated with a single light source: it moves across the stone as the light moves. This effect, called asterism, is caused by light reflecting off tiny rutile needles, called "silk," which are oriented along the crystal faces. The value of star rubies and sapphires are influenced by two factors: the intensity and attractiveness of the body color and the strength and sharpness of the star. All six legs should be straight and equally prominent. Star rubies rarely have the combination of a fine translucent or transparent color and a sharp prominent star. These gems are valuable and expensive. The most famous source of fine rubies is Burma, which is now called Myanmar. The ruby mines of Myanmar date back to centuries ago: stone age and bronze age mining tools have been found in the mining area of Mogok. Rubies from the legendary mines in Mogok often have a pure red color, sometimes described as "pigeon's-blood", although that term is more fanciful than an actual practical standard in the trade today. Myanmar also produces intense pinkish red rubies, which are vivid and extremely beautiful. Many of the rubies from Burma have a strong fluorescence when exposed to ultraviolet rays like those in sunlight, which layers on extra color. Burma rubies have a reputation of holding their vivid color under all lighting conditions. Sri Lankan stones are often pinkish in hue and many are pastel in tone. Some, however, resemble the vivid pinkish red hues from Burma. Rubies from Kenya and Tanzania surprised the world when they were discovered in the sixties because their color rivals the world's best. Unfortunately, most of the ruby production from these countries has many inclusions, tiny flaws that diminish transparency. Rubies from the African mines are rarely transparent enough to facet. 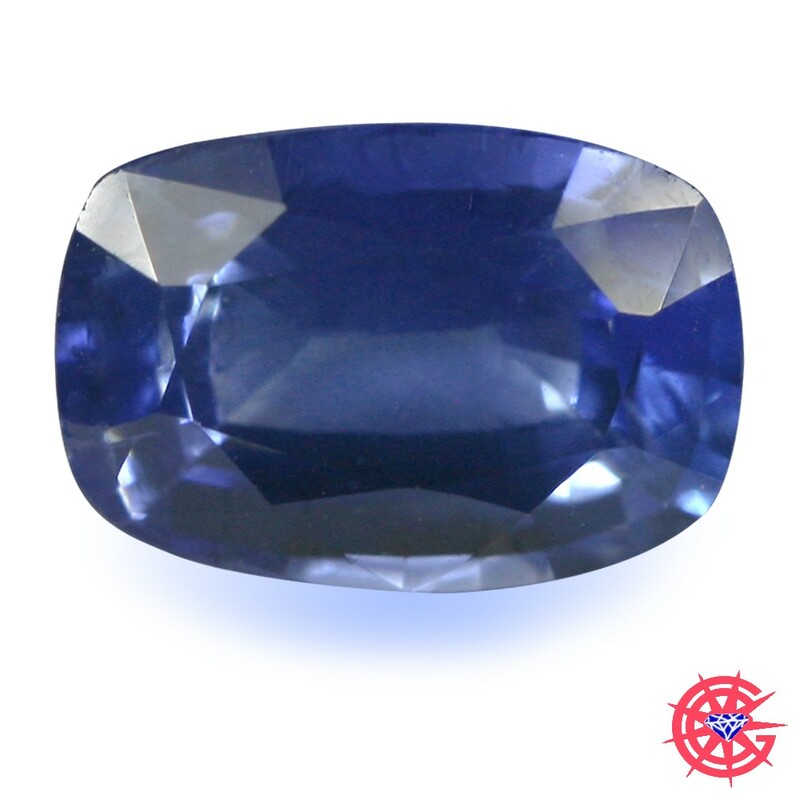 However, their fantastic color is displayed to full advantage when cut in the cabochon style. 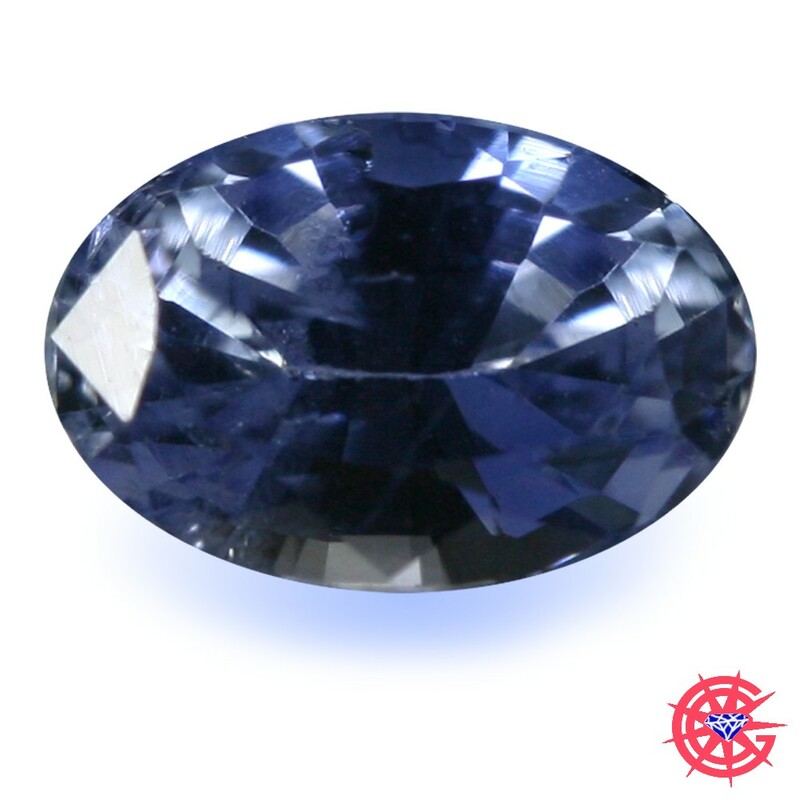 A few rare clean stones of top quality have been seen. Occasionally a few fine, top-quality rubies appear on the market from Afghanistan, Pakistan or the Pamir Mountains of the Commonwealth of Independent States. 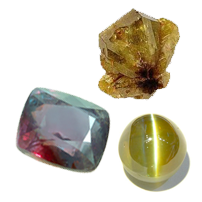 The terrain in these areas has made exploration for gemstones very difficult but someday they may produce significant quantities for the world market.